Glen Avon Farm, near the historic little town of Somerset East in South Africa’s malaria-free Eastern Cape, lies at the foot of Boschberg Mountain and provides a perfect environment for a farm holiday. 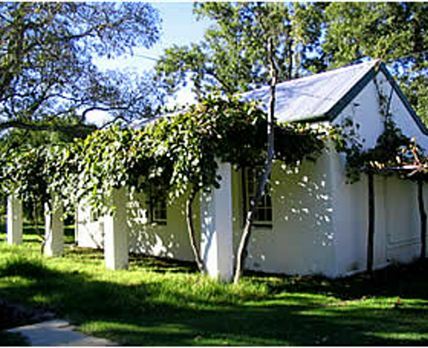 It also offers gracious accommodation in its historic cottages and being close to both Somerset East and the R63, it is very accessible. Stately mountains, lush valleys, forests, rock formations, streams and delightful vistas make an exhilarating environment for a farm holiday for those who love nature and what it has to offer. Birding is excellent and hiking opportunities of all degrees abound. Lovers of flora and fauna will find plenty to interest them, while those who like animals will enjoy our farm life. If what you need is simply to get away from city pressures, to relax and maybe take a plunge in the pool or play a little tennis, Glen Avon will provide a restorative farm holiday. Our guest accommodation consists of two restored cottages with self-catering and bed and breakfast facilities. The main farmhouse accommodation comprises two guest bedrooms sleeping four guests each, and both cottages feature fireplaces for winter evenings, as well as barbecue facilities. Click here to enquire at Glen Avon Farm.